The first time I took drugs was after my XII boards, a year back. My friends took me to a place they knew, where drugs are sold cheap and in abundance. The first thing I ever smoked was weed, which I bought at Rs 50 per packet. Later, I moved on to smoking hash which was much more expensive. I was told that these substances are grass based and, in fact, herbs used to cure diseases. But because they induce a certain level of intoxication, they can’t be prescribed. As admission bells ring in DU, applicants toy with the idea of experimenting with substance abuse. “Depends on who we hang out with. We’re okay with other people getting into such habits but would try not to give in to peer pressure ourselves,” said Shruti and Anusha. While citizens below the age of 25 are legally forbidden alcohol consumption in New Delhi, several students at DU pay no heed to the law. 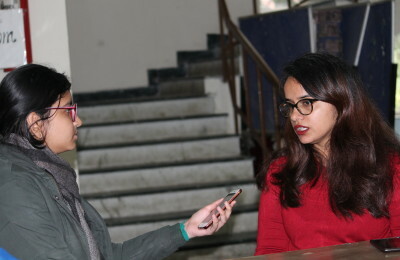 Umang, another aspirant, says, “If you are allowed to vote, you are capable of making decisions for yourself.” Ankita, an occasional drinker, said that many people forego the habit by the time they are 25. “The regulation does not make sense,” she added. 60% respondents demand a decrease in the legal age for drinking, most of them suggesting 21 years as the ideal age. Rehabilitation centers offer processes of medical and psychotherapeutic treatment for dependency on substance abuse. Hope Trust (Hyderabad), Muktangan (Pune) and Santulan (New Delhi) are some renowned de-addiction centers in India. Sadly, none of the respondents were aware of the location, or even the name, of any of the rehabs in the country. Dr Sahni suggested establishment of de-addiction centers in the campus, not only for students but also for teaching and non-teaching staff. She also recommended spreading the message and sensitizing students through street plays, films and talk shows.